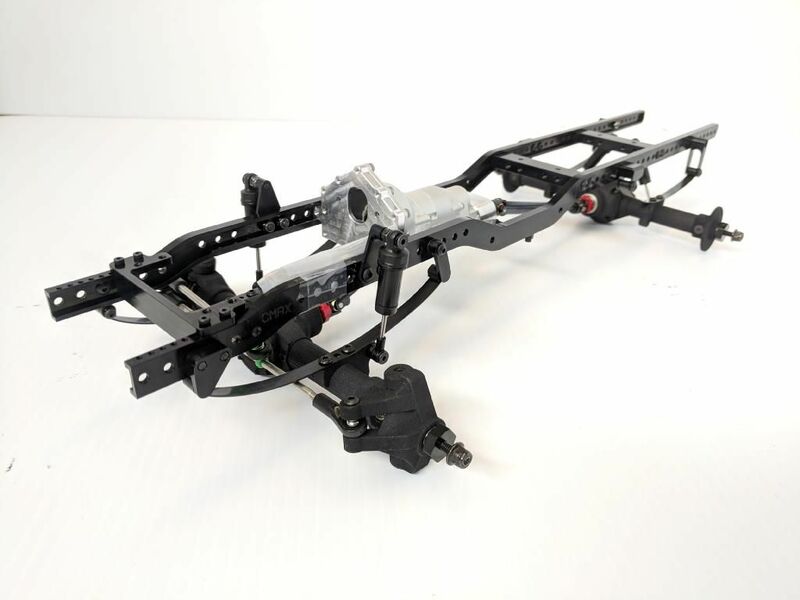 Factory Built, by our GCM Team, this 'Slider' chassis includes a long list of great features, and fits well under the Chevy Blazer hardbody, and many others. 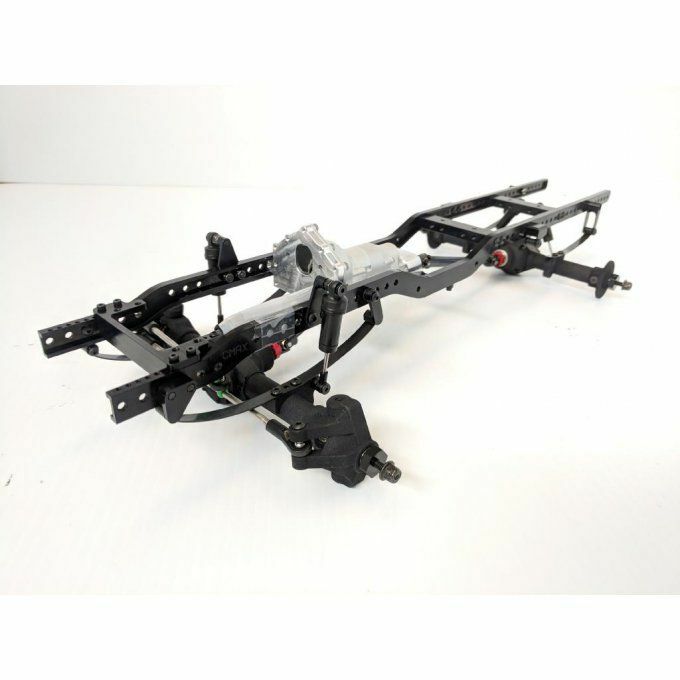 This chassis boasts proper leaf spring front end, with our unique 66mm narrow leaf spacing under the frame rails. 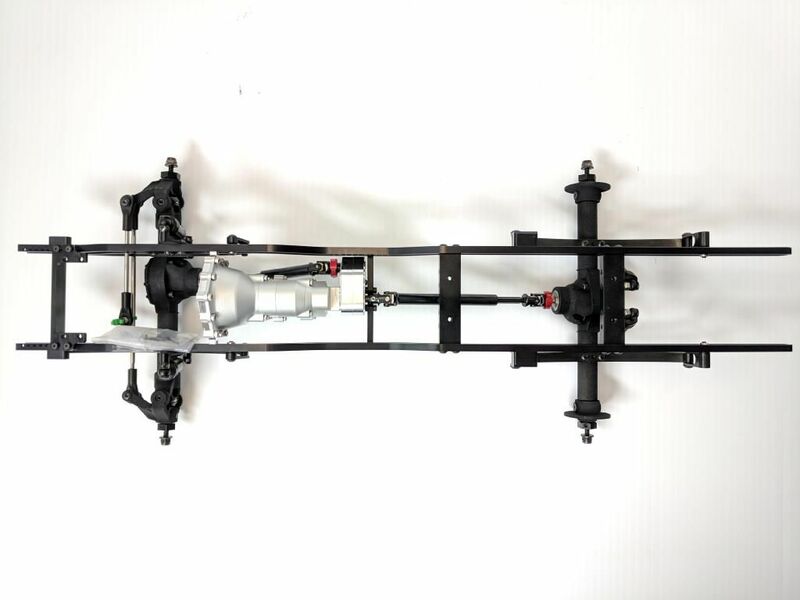 The rear carries the axle with standard 79mm leaf springs and separate oil filled dampers. 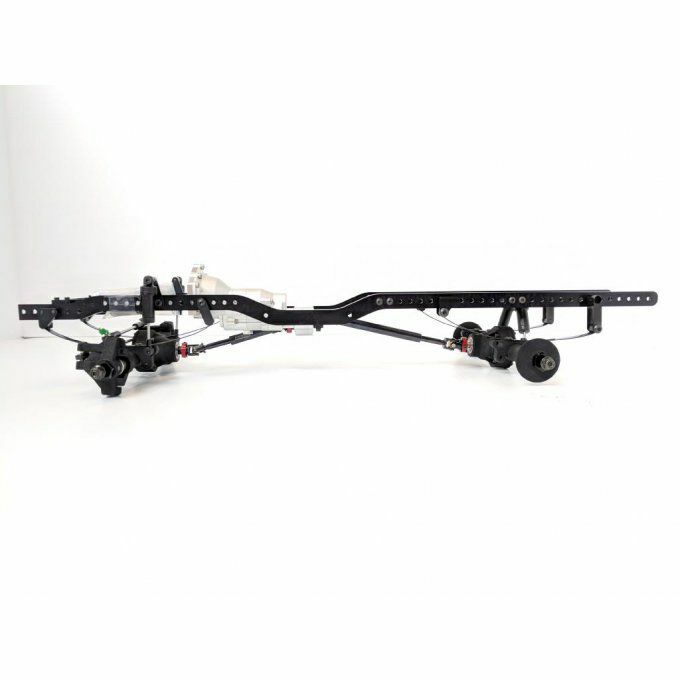 Check this spec list below. 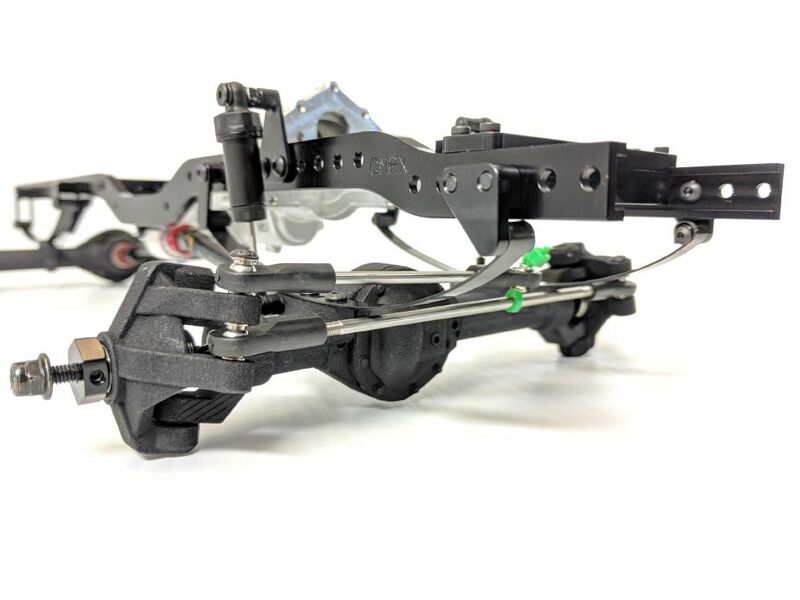 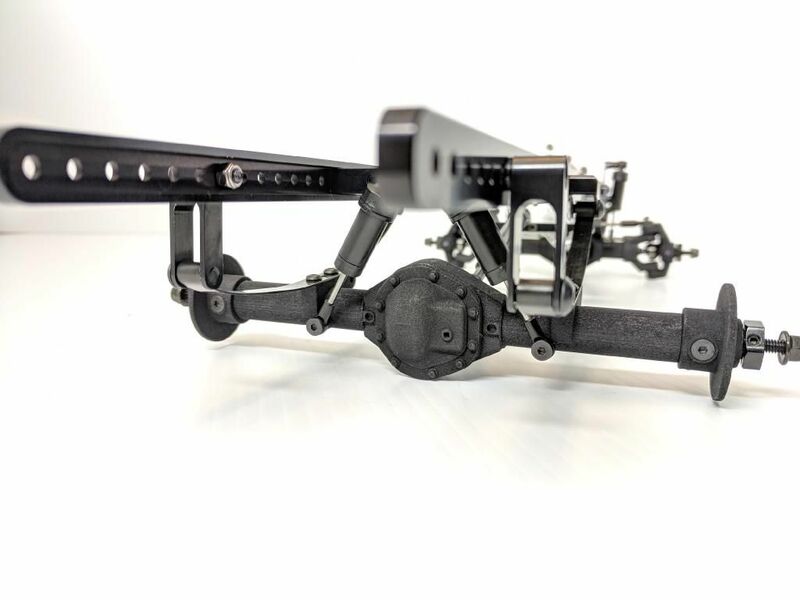 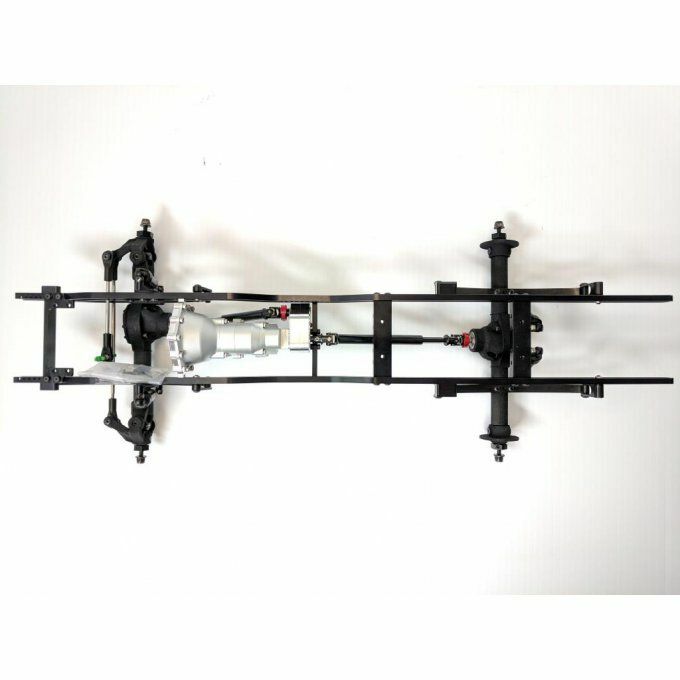 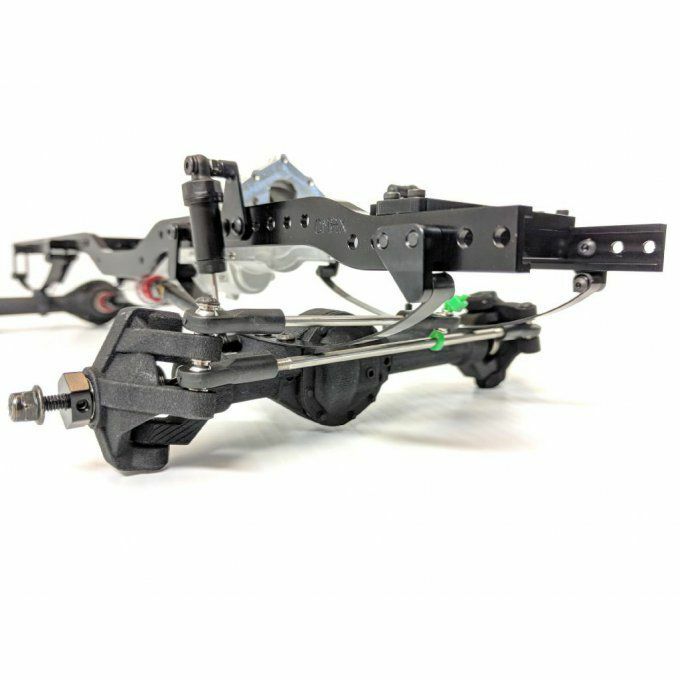 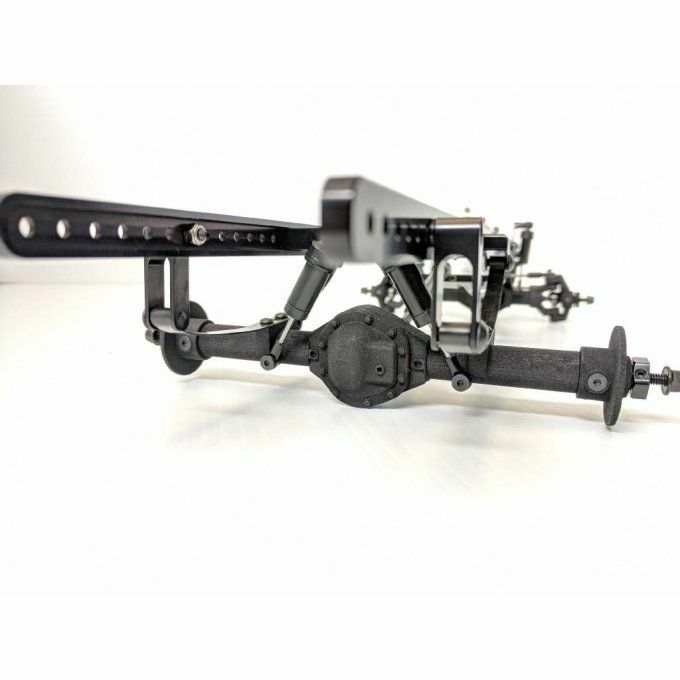 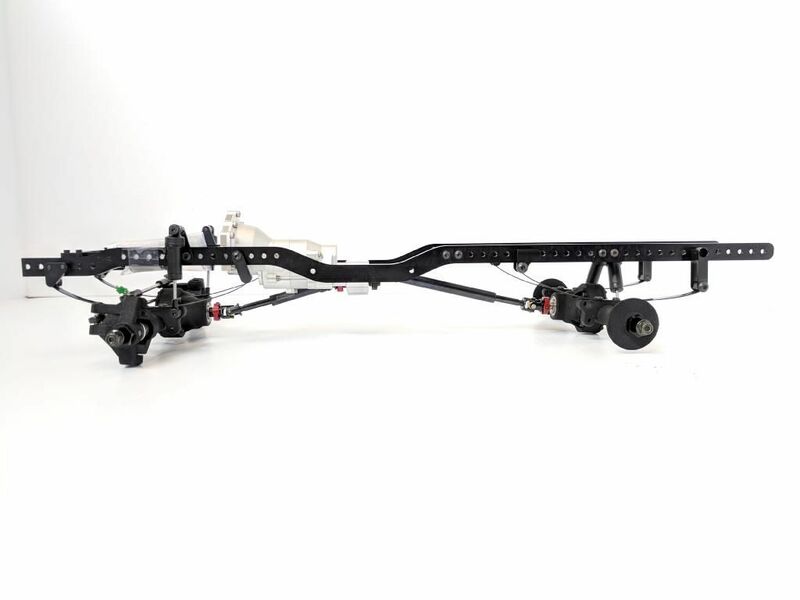 Due to our GCM unique leaf spring axle housings, you can adjust the wheelbase on this chassis in increments of 2mm, 6mm, or 8mm to perfectly match the front and rear of your truck body.